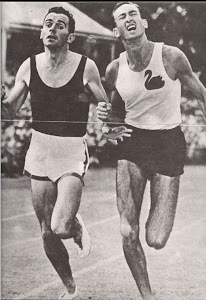 The top half of the first page of this issue is devoted to a photo of a powerfully striding Adolph Plummer nearing the finish of the fastest 440 in history. Well behind him, struggling with his form, is long time nemeses Ulis Williams. The gap between them appears to be six or seven yards. The significance of this performance can be illustrated by the fact that the well beaten Williams is also breaking the record. At the start of the day Glenn Davis' 45.7 is the world record. Williams runs 45.6, yet is thrashed by Plummer's unworldly 44.9. 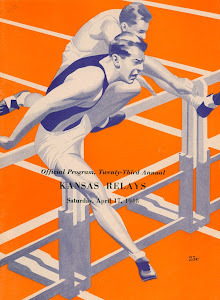 Fortunately, we have more than a nearly 50 year old issue of Track and Field News as our source. 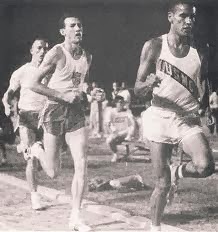 Contributor Pete Brown (indeed every issue reported on in 1963 belongs to Pete who loaned them to us) ran the 880 that evening in Tempe, Arizona in the first Western Athletic Conference meet. He graciously consented to write the following eye witness report. One small correction. Leif Bugge of Denmark,sent us the January, 63 issue from which we based that posting. Plummer and Williams won't meet in the NCAA because Plummer competed for the varsity as a freshman so his three years of eligibility are used up. As wonderful an evening as it was for Adolph, he did not escape unscathed. Henry Carr, winner of the 100 in 9.3, edges him in the 220, 20.5 to 20.8. But this was not the only excitement in the track world on May 25. 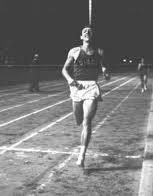 In Modesto at the 22nd California Relays, ten thousand fans see a breath taking burst by Peter Snell in the mile, “the most startling improvement in modern track history” (the words of Cordner Nelson) and two world records set simultaneously. Snell, recently married and admittedly not in the best of shape, ran 4:00.3 in the Coliseum Relays last week. He had finished in 53.1 off a slow pace, but this evening he is up against a different set of competitors, Cary Weisiger, Jim Grelle and the ever dangerous Jim Beatty. This time there will be no early race lollygagging. 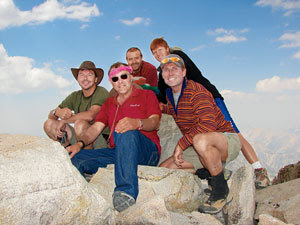 The three Americans will test the world record holder's mettle. Jim Beatty leads at the half in 1:59.1, nowhere near fast enough to run the sprint out of Snell. Cary Weisiger takes over on the third lap, but the pace stays the same. Weisiger leads at the bell in 2:59.4 with Grelle, Beatty and Snell in tow. Snell passes Beatty on the curve and waits for the LATC ace to make his move. Weisiger is trying to steal the race down the backstretch and Grelle is in full pursuit. When Beatty's move doesn't materialize, the black clad New Zealander opens up. He passes Grelle and Weisiger just before the final curve. Cordner Nelson writes, “Snell spurted by Weisiger and Grelle so fast he looked like a relay runner warming up on the grass.” By the middle of the curve he has ten yards. The gap continues to grow into the homestretch when he turns to see that his lead is an insurmountable 15 yards. Assured that victory is his, he gears down and coasts to a 3:54.9 win. Weisigier PRs at 3:57.3 and Beatty edges Grelle for third as they both run 3:58.0, but no one notices. 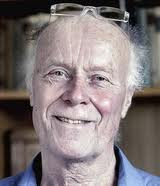 The only question that remains to be answered is which planet did Peter Snell come from? As we have said before, there is Peter Snell and then there is everyone else. Earlier this day in the AAWU (SC, UCLA, Cal, Stanford, Washington and Washington State) meet held in Berkeley Washington broad jumper Phil Shinnick has a terrible afternoon. Shinnick jumped 25-5 last week, but today he fails to make the finals. Frustrated, he seeks and is granted permission to compete at Modesto, 82 miles away, this evening. The 6-3, 180 pound 20 year old sophomore has adrenaline coursing through his body. As bad as he was this afternoon, he is as good this evening. He gives indication of what is about to happen when he fouls on a jump of 26-10. Unfortunately a very important person, the official in charge of the wind gauge, is not impressed, a problem as we will see. The number of this jump is not mentioned, but he comes down the runway like a man with his hair on fire, hits the board exactly and executes a perfect hang style jump. Upon landing, he rushes back to view the measurement. Then he leaps and runs in “uncontained joy” as other athletes gather to congratulate him. He has bettered Igor Ter-Ovanesyan's world record of 27-3¼ by ¾ of an inch. Has he jumped 27-4? Yes! Is he the new world record holder? Actually, no. Here is the problem. The aforementioned wind gauge official had been instructed not to expend effort gauging the wind for anyone but Ralph Boston. Before the peasants take up pitchforks and storm the castle, it must be noted that the wind probably was slightly over the limit. The allowable two meters per second is 4.473 miles per hour. The races run immediately before and after Shinnick's jump had wind readings of 5.112 and 5.76 mph. The flags at the top of the stadium were standing straight out 20 seconds after the jump, indicating a breeze of 6 mph. 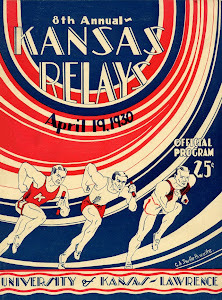 Boston finished second at 27-2¾ and had another jump of 27-0½ aided by winds of 8.55 and 6.12 mph. In truth all we know is that Phil Shinnick jumped 27-4. Was it wind aided? Maybe, could be, possibly, sorta kinda, who knows? See article at end of this post. As you undoubtedly recall, we made mention of two records at the same time. Here they are. As Morgan Groth is on the first backstretch of his anchor leg, Brian Sternberg is sprinting down the pole vault runway. The former world record holder is about to reclaim the record. He had vaulted 16-5 last month only to see John Pennel take the record three days later with a 16-6¾ jump. Tonight Sternberg catapults himself into the air and over the bar at 16-7. The record once again belongs to the Washington sophomore. Combined with teammate Shinnick's broad jump, this is a pretty good evening for the Washington Huskies. Oh, wait, maybe not. It seems the bar extends more that the allowed six inches beyond the standards. Will it be accepted as the record? Only time will tell. Amazingly Shinnick and Sternberg are roommates at WSU. How often have roommates exceeded existing world records at the same meet? 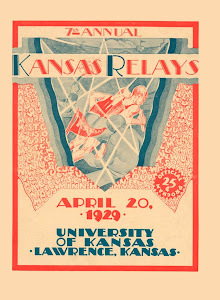 Other highlights include Bob Hayes' 9.3w 100 win by two yards, Hayes Jones' 13.4 hurdle victory over Blaine Lindgren by a tenth and Al Oerter's 202-11 discus win over Jay Silvester who threw 201-10½. Ron Larrieu is running well, not well enough to beat Murray Halberg, but his 8:45.8, just over a second behind the New Zealand Olympic champion, is the fastest 2M by an American this year. Of significant note is Joe Faust's 6-9¾ second place high jump, pretty good considering he retired for the second time last month. Now it is June 1 and we have traveled to that hot bed of track and field, Sioux Falls, South Dakota for the NAIA meet. Maryland State wins and good marks abound, but the spotlight focuses on Md. State's Russ Rogers, who, for the second straight year, scores a one day hurdle trifecta, running 13.7, 23.5t and 51.5. Oh, and he anchors the winning mile relay team as well. Before you can ask, yes, he is voted the outstanding performer of the meet. 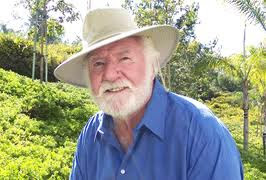 You are Peter Snell. You ran in Modesto last week. Next week you run the mile in the Compton Invitational. So, what do you do to fill the weekend between races? You run the half mile in the Southern Pacific AAU meet in LA, that's what. Now this is not to say that the SPAAU is a chump change meet. Indeed some of the finest athletes in the world are competing. Snell runs with the pack through a 53.1 split before opening up “ a moderate kick” in the last 150 to win in 1:48.0, a great time for anyone else, but a day at the beach for Peter. Ron Whitney PRs at 1:48.6. Greg Pelster and Jim Grelle go 1:48.8 and 1:49.4. Jim Beatty strides through a 4:00.8 mile. 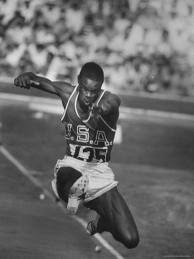 Ralph Boston hurdles 14.0. Willie Atterberry's 50.6 is the fastest 400IH time in the country. C.K. Yang, vaulting for the first time in three weeks because of an injury, hasn't acquired any rust. He jumps 16-1 and has a near miss at the WR height of 16-8. A capacity crowd of 9000 fills the stadium at Compton JC for the Compton Invitational. Get there early or watch through the chain link at the end of the field. Those that got in were rewarded with sterling performances from Sternberg, Snell and Ulis Williams. Remember that great race between Adolph Plummer and Ulis Williams described by Pete Brown earlier in this entry? Well, they're back. Two weeks have made a difference. Plummer leads by three yards coming into the stretch, but Williams rallies, catching him at the tape as both run 45.6. This is not to say the New Mexico star gets all pouty faced. Nope, he is back in the 220, taking on 100 winner Bob Hayes. Trailing by Hayes by four yards and Paul Drayton by three as the field enters the straight, Plummer goes to the afterburners and moves strongly past for the win in 20.6. Hayes and Drayton are clocked in 20.7 and 21.1. Al Oerter throws 202-8½, but suffers his first loss in almost two years as Jay Silvester drops one out 204-4. 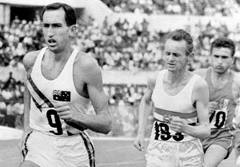 Murray Halberg is expecting his main competition in the 5000 to come from nemesis Bruce Kidd, but Kidd has a sore heel and though leading through two miles, can't finish strongly. That role goes to Aussie Pat Clohessey who surprises the Olympic champ on the last lap, leading into the straight before Halberg roars past for a 13:52.0 to 13:53.2 victory. 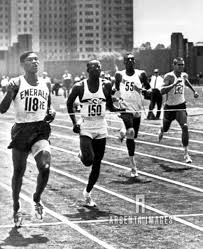 The half mile is significant not only for a fast time, but for a promise of the future. Canadian Bill Crothers opens up ten yards on the final curve and wins easily in 1:47.1. Steve Haas, a placer in last year's AAU 220, shows his amazing range by running 1:48.7 to take second. Ben Tucker is third in 1:49.1, but wait a minute, who is that in fourth? That would be 17 year old Dennis Carr who last week won the California state high school championship in 1:50.9. Today he posts a national record of 1:49.2 obliterating Tom Carroll's seven year old record of 1:50.6. 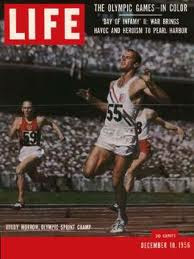 Peter Snell, who admits he is “about raced out for the season”, is lined up against five of America's fastest milers. Morgan Groth throws down a 57.8 opening lap and any thoughts of a tactical race are out the window. Jim Beatty leads through a 1:59.0 half, but at the start of the second curve on the third lap Cary Weisiger starts a long drive, passing the 1320 in 2:57.8, five yards clear of Snell, Grelle and Burleson with Beatty sitting in a couple yards behind them. On the backstretch the first three close up on Weisiger by the final curve. Oddly, Beatty is still 15 yards in arrears. Weisiger passes the 1500 in an American record 3:39.3, but then the black clad Kiwi strikes. Burleson follows closely. 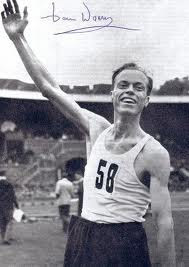 Snell finishes in 3:55.0, a time bettered only by Herb Elliot and himself. Burleson, seeing he can't win, lets up near the tape and loses the American record to the hard charging Beatty, 3:55.5 to 3:55.6. Grelle catches the spent Weisiger in the last yards as they clock 3:56.4 and 3:56.6. Bob Seaman gets his first four minute mile in some time with a 3:59.1. Groth pays for his youthful enthusiasm, but still PRs at 4:00.8. Nine thousand people just saw a good one. Next time you are having a bad day, Bucky, ponder for a moment how USC's fine hurdler Bob Polkinghorne feels as he hitchhikes home this evening. Two false starts took him out of the highs. He didn't run his leg on the relay because his team dropped the baton and he lost cadence and failed to finish the intermediates. Sure hope he doesn't have a term paper due Monday morning. On the Prep Panorama page we learn of some up and coming high schoolers. We have already mentioned Dennis Carr of Lowell High in Whittier, but there is another middle distance prospect that bears watching. That would be Wichita East sophomore, Jim Ryun. In the last report we mentioned that he established the sophomore record in the mile at 4:16.2. Now that is long forgotten history. On May 25 in the Missouri Valley AAU meet in Shawnee Mission, Kansas he finishes fifth in 4:08.2. This is also a new age 16 best, breaking Carr's record by half a second. 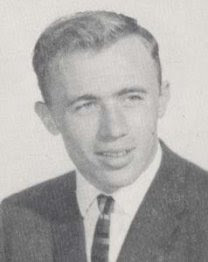 A couple weeks later, June 8, in Houston at the National Federation championships, high school senior Randy Matson puts the 16 pound international weight shot 60-6. Only Dallas Long's 61-0½ is better. As an afterthought, Matson throws the big boy discus 169-7½, also the second best ever by a high school performer behind Archie Harris' 175-8. The young man will pursue his education at Texas A&M. We will follow him closely. Although not the national leader in their event(s), there are a couple more kids to keep an eye on. Seattle O'Dea High sprinter Charley Greene won state with windy 9.4 and 20.6 clockings. He had qualified with legal marks of 9.5 and 21.0.…...A pole vaulter from Pomona, CA is looking pretty good with a vault of 14-4. 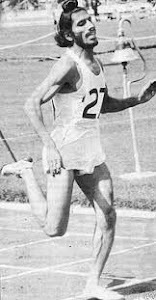 His name is Bob Seagren......The leader in the two mile is Dave Patrick of Kenwood High in Baltimore. His 9:27.7 run in a dual meet might indicate a faster time may be just around the corner. Bill Nieder has petitioned the AAU for reinstatement as an amateur. His local association, the SPAAU, has voted to recommend reinstatement to the national body. 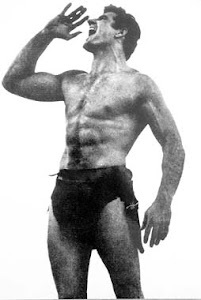 Nieder's offense was one bout as a professional boxer. 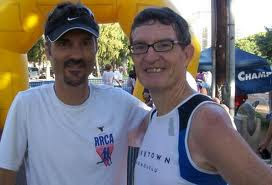 The decision will be made at the annual meeting in December.......Occidental's middle distance runner Leroy Neal has had the same coach for the last eight years, four years at Fullerton HS, two years at Fullerton JC and two years at Oxy. The coach's name: Jim Bush........Bruce Kidd says that he has had foot problems for months. 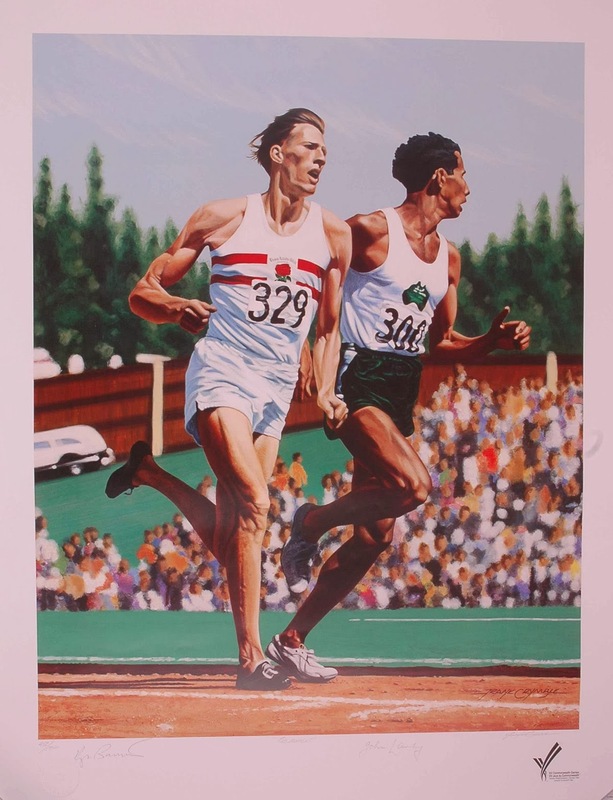 We are not sure whether he is talking about podiatry or personal relationships as his coach's name is Fred Foot.........A quote by Peter Snell: “I would like to get a tape of the radio broadcast of my Modesto mile. I have several of my races on tape. When the training gets tough and discouraging, it helps to go to my room and listen to the Rome 800." Memory is an elusive and tricky animal. It can underscore the trivial and overlook the significant. 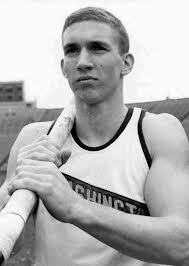 Pole vaulter Brian Sternberg and long jumper Phil Shinnick shared one of the United States' greatest ever non-Olympic days of track and field glory 47 years ago this week. 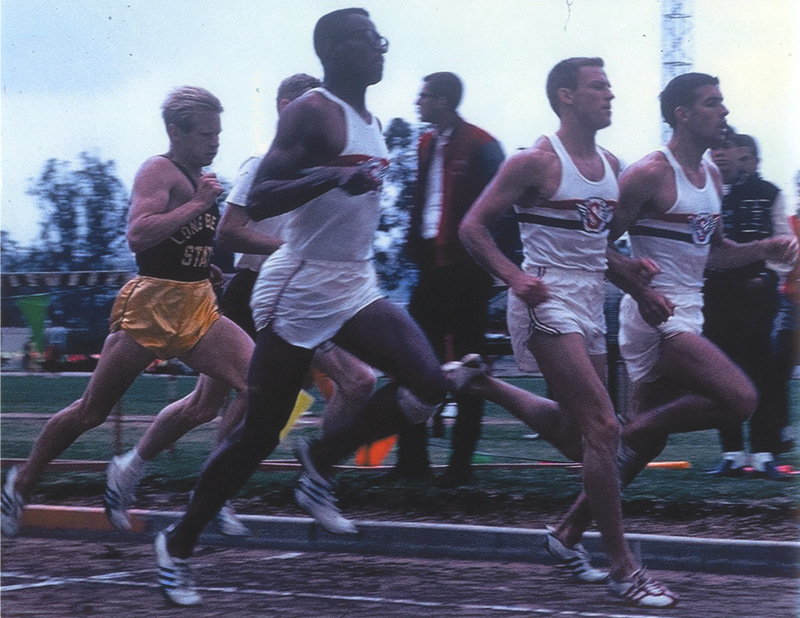 The two men, teammates and roommates at the University of Washington, set world records in their specialties within an hour of each other. An unprecedented tangled tale of tragedy and turmoil has trailed the two men in the nearly half century since. 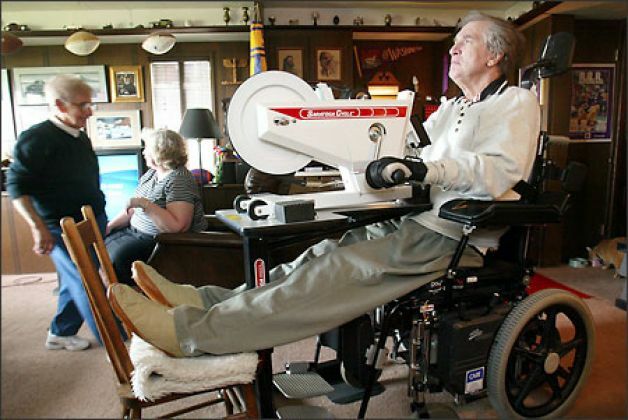 Sternberg would add an inch to his pole vault record a few weeks later, but he's spent the last 47 years a quadriplegic in a wheelchair. Shinnick owned his long jump record for approximately 50 minutes, about one for every year he's fought to get it recognized after it was disallowed. 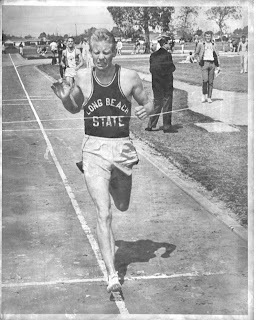 "What I remember mostly is the meal we had on the way to Modesto," says Sternberg, who drove with Shinnick from the Pacific-8 track and field meet in Berkeley that afternoon to the California Relays in Modesto, known for its scorching temperatures and as the inspiration for "American Graffiti." "We had burgers and shakes," Sternberg says. "What athlete now or then trains on burgers and shakes? That's not normal when you're training. And to think we went out and set the records we did after that. Oh, to be young again." The Pacific-8 meet had been a disappointment for both, Shinnick says. But just as they walked into the sticky 85-degree heat of the stadium at Modesto Junior College at 7:12 p.m., well after the burgers and shakes had kicked in, he started to feel that he was ready to do something special. That wasn't as much a boast on Sternberg's part as it might seem. One of the first true proponents of the then-high-tech fiberglass pole, he'd already set a world record earlier in the year. It was a stretch for Shinnick, however, because he'd never had a legal jump of more than 25-5 feet to that point. In Berkeley earlier in the day he'd had a 26-1 jump that officials ruled foul, although Shinnick says to this day that it was a fair jump. 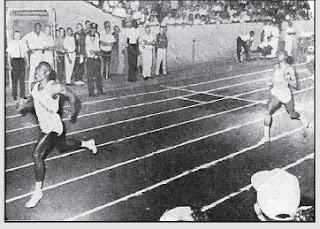 And he was lucky just to make it to Modesto on time -- the jumping, featuring former (and future) world record holder Ralph Boston -- had already begun when Shinnick and Sternberg showed up.For that reason, Shinnick was slotted to jump after Boston, the man who had broken the long jump record held for a quarter of a century by Jesse Owens. Although Shinnick only had time for a quick warmup and walk through, it proved to be the best warmup of his life. And he took a little break afterward. "I laid down on the grass for a minute before I jumped," Shinnick says. "And I felt great. I felt like God was smiling on me." 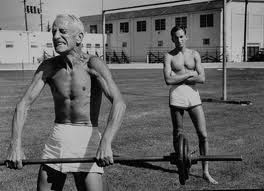 Sternberg, whose competition had yet to start, picked up some blades of grass, dropped them to make sure there wasn't a prevailing wind, then signaled his roommate he was good to go. "I ran down the runway, and it felt like I was in slow motion," Shinnick says. "I felt fast. When I was in the air it seemed like maybe I'd hit the cement at the end of the pit. I'd jumped over the pit in high school, so I knew what it felt like." When Shinnick landed, he was closer to the edge of the cement at 30 feet than anyone had expected. He says his left foot was at the 27-10 1/2 mark, his right foot at 27-5. 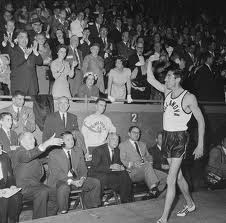 Boston, who was standing near Sternberg near the long jump pit said, "That's a world record," and congratulated him for eclipsing Soviet jumper Igor Ter-Ovanesyan's standing mark of 27-3 1/4. The trouble was, Shinnick's Pac-8 credentials weren't enough that anyone in Modesto had any real clue who he was. 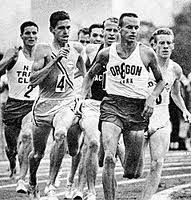 He was a sophomore at the University of Washington and hadn't competed in his freshman year -- the NCAA didn't allow freshmen to compete in any collegiate sports in those days. So he was in just his fourth or fifth competition since graduating from high school in Spokane almost two years earlier. Most of the jumpers knew him, but the officials didn't. He certainly wasn't somebody who should be breaking world records. All of a sudden, instead of celebration time it was inquisition time. "The officials didn't know what to do," Shinnick says. "They measured and re-measured. Each time they did, they kept breaking the sand where my right foot had landed, and little by little it went from 27-5 to 27-4. "They took me into the stands and said, 'Who are you?' I said, 'Well, who are you? I don't know you, either.' I had to yell at them to stop re-measuring and breaking more sand each time." It turned out that the off-the-field inquisition was the least of the irregularities surrounding the jump. 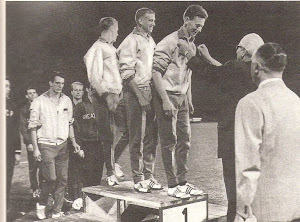 The event's officials had been told that Boston was the only jumper who had a chance at a record, so no wind gauge was in use when Shinnick jumped. That wasn't unusual in 1963. 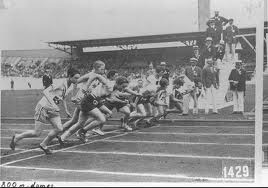 Earlier that year, the International Amateur Athletics Federation, the governing body of world track and field, had instituted rules calling for wind gauges to be used on all running events up to 200 meters or 220 yards in addition to the long jump and triple jump (sometimes called the broad jump and the hop, step and jump, respectively, in those days). The new rules supplanted rules from 1936 that didn't mandate wind gauges. It was a time of transition, and many, if not most, track and field facilities hadn't added additional wind gauges. And because the meet's organizers deemed that Boston was the only long jumper capable of a record, the venue's only wind gauge was trotted out for him and for no other jumper. 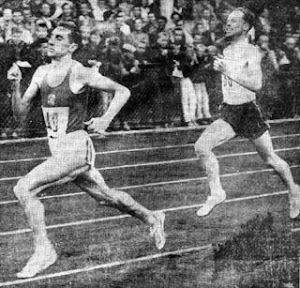 Shinnick was going to suffer from that neglect: The IAAF's new 1963 rules said his 27-4 jump couldn't be a record without a wind gauge reading. The best moment in Phil Shinnick's career had just become his worst. By way of comparison, Sternberg's night was smooth. He had a couple of misses, but then he made a quick final sprint down the runway, planted his pole and jackknifed his body over the bar at 16-7. This record stood. "I don't really remember celebrating much at all," Sternberg said. "First Phil didn't get credit for a record he deserved, and then we had to get down south for the Los Angeles Times meet the next day." 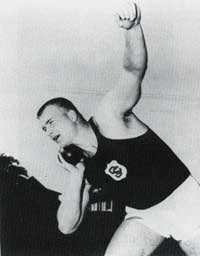 Later in the summer, Sternberg would get up to 16-8 in a meet in Compton, Calif. But five weeks after the record at Modesto, the former gymnast was working out on a trampoline with another UW gymnast, Bob Hall, when he landed badly after trying a double-back somersault with a twist, a jump he'd done effortlessly for years.He landed on his neck. And he knew immediately that something was horribly wrong. "I don't remember everything about that day," Sternberg says, "but I landed right in the middle of the trampoline where no one could reach me. And I yelled at the top of my voice. I knew it was bad right away. "What I didn't know was how bad. When I realized just how bad it was, it came as a shock." The first doctors Sternberg saw confirmed paralysis and thought that he might not survive long. Later, the prognosis was upgraded. He might have another five years to live. Shinnick thought he knew his buddy better than that. At the same time, Shinnick took the accident hard. 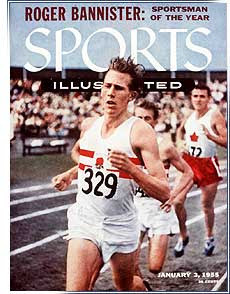 "(Brian) was voted the best athlete in North America that year," Shinnick says. "We were roommates. We were very close. When he broke his neck, it had a very bad effect on me. I lost my bearings." Brian Sternberg lost just about everything. A world class athlete, now he couldn't move. There was pressure on his lungs so that he could barely speak above a whisper. Unable to care for himself, he moved back to his parents' home in the Queen Anne section of Seattle. Harold (now deceased) and Helen Sternberg would now be caring for their adult son. "You don't ever come to terms with something like that," Sternberg says in looking back half a century. "You learn to take things pretty much one day at a time." It would be easy for Sternberg to be bitter that so much was taken from him. He isn't. He doesn't second-guess his work on the trampoline, which was supposed to be in preparation for a trip to pole vault in the Soviet Union. Instead, he chooses to look at his gymnastics work as what separated him from the rest of the pole vaulters of his generation. "Vaulting really is gymnastics," he says. 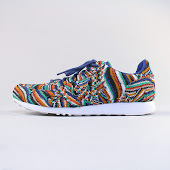 "You need the agility and the suppleness that you get from gymnastics. That was a big difference for me. The other was the (fiberglass) pole. "With the wooden pole, you always had to vault with your hands together; if you didn't, you'd wind up swinging from two points as you went toward the bar. With the fiberglass pole, you could separate your hands and that helped. Vaulting is physics. You race down the runway, then you use the pole to change horizontal momentum into vertical." Vaulters defy gravity, if for ever so brief a time. Now 67, Brian Sternberg has defied time. One surgery in 1996 and another in 2003 have relieved some pressure on his lungs. His speech isn't confined to a whisper anymore. His dentist has designed a mouthpiece Sternberg can use to type on a computer, so he can communicate by email. He's always been a huge football fan, and he has a special spot at UW's Husky Stadium that he can get to in his wheelchair. There were no more records for him after 1963, but he's never stopped rooting for his old friend Phil Shinnick to get his due. "I really hope he gets the record recognized," Sternberg says. "He deserves it." Sternberg isn't alone in wishing Shinnick well in his pursuit. Former Cuban 400 and 800 meter Olympic champion Alberto Juantorena has pressed Shinnick's case with the IAAF. So has two-time Olympic 1500 meter champion Sebastian Coe. 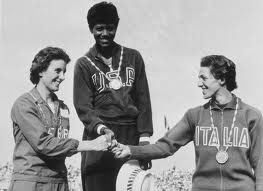 Add Olympic champion long jumper Lynn Davies to the list. Not that Shinnick has let his pursuit of the long jump record stop him from pursuing life. 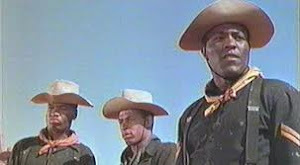 He was one of the driving forces in the West to agitate for bringing China back into the Olympic Games. 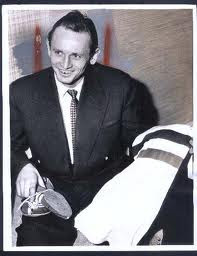 He pushed for athletic détente between the U.S. and the USSR. 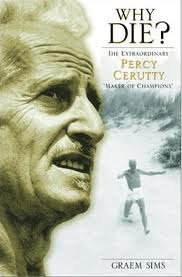 He helped found and lead Athletes United for Peace. 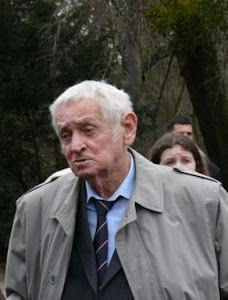 He served on the International Olympic Committee's committee on Peace and Sport. He was jailed for several weeks in 1974 for contempt of court when he refused to submit his fingerprints, a handwriting sample and a hair sample to the FBI during that organization's hunt for Patty Hearst. 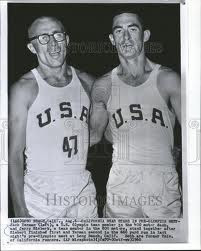 Shinnick was an associate of sports activist Jack Scott, who was also linked to the Hearst case. Scott, famous for spearheading the hiring of minority coaches in the 1970s when he was Oberlin College's athletic director, was alleged to have helped Hearst and the Symbionese Liberation Army (SLA) elude a federal manhunt. No allegations were ever proved. Shinnick is reluctant now to talk about Hearst and the SLA. The FBI seemed to think -- but was unable to prove -- that Shinnick visited a farmhouse where Hearst was hiding. On a more mainstream note, Shinnick graduated from Washington, earned a doctorate from the University of California and taught sociology for a while at Rutgers. He then moved on to medical research, specializing in acupuncture and Oriental medicine. He's gone on to become director of the Research Institute of Global Physiology, Behavior and Treatment in New York where one of his clients, appropriately enough, is the current long jump world record holder, Michael Powell. Shinnick's supporters in the long jump community are of the die-hard variety. 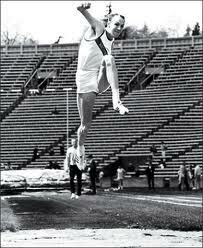 Grant Birkinshaw is a New Zealand native who long-jumped for the University of Washington in the 1970s, in part because he admired Shinnick. 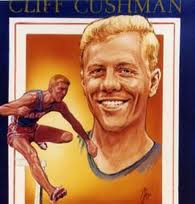 Birkinshaw started a campaign in the 1990s to get Shinnick's 1963 long jump recognized as a record. 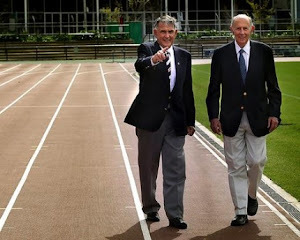 In November 2003, with Birkinshaw and Ralph Boston, who had driven up from Georgia, Shinnick presented his case in North Carolina to the USATF (United States Track and Field), the governing body for track in this country. "I saw the jump," Boston said at the hearing, "and it was real." 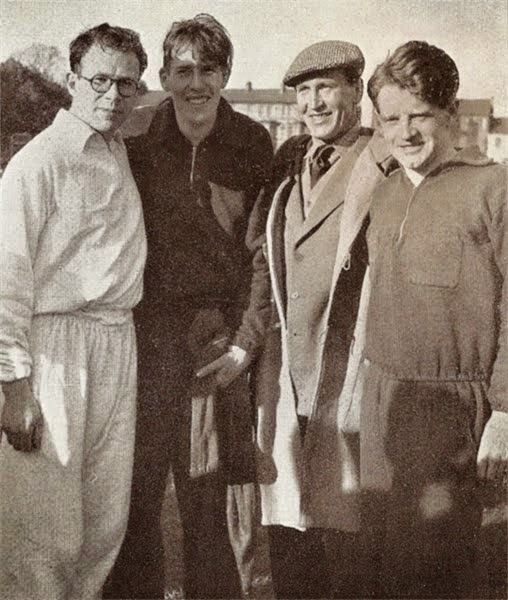 Forty years after the fact, Shinnick got a major bit of satisfaction. His jump was accepted as the American -- but not the IAAF world -- record for a 16-month period. Boston's 27-4 1/2 jump in 1964 displaced Shinnick's 27-4 record. The evidence that swung sympathy for Shinnick's case was substantial. There was not only Boston's testimony but that of the meet officials at the California Relays in Modesto. 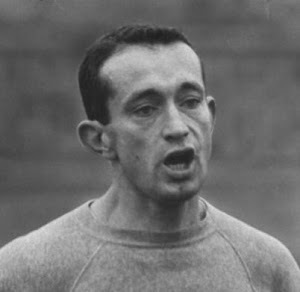 On May 26, 1963, the day after Shinnick's long jump, the officials, independent of the IAAF, voted to accept the jump as a world record. "There is no reason in the world why the record shouldn't be recognized," said one of the event officials, Dr. Hilmer Lodge, at the time. "I was right there and can testify there was hardly any wind." As to the matter of the wind gauge, it was in use for the 220-yard dash at the time of the jump and the wind was reported well within the allowable wind speed. Some of Boston's jumps that night were wind-aided, but two were not. 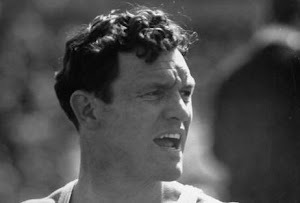 Newspapers, including the San Francisco Chronicle, San Francisco Examiner and Sacramento Bee all reported that the wind was either negligible or non-existent at the time of Shinnick's 27-4 jump. Writing in the Bee, Arthur Robinson spoke for many who were there when he said "it wasn't a wind. It wasn't even a breeze. Nor was it a zephyr. Even a hummingbird's feather would have dropped to the ground without drifting in its descent at the moment young Shinnick made his phenomenal jump." After his successful hearing in North Carolina, Shinnick said he had every reason to suppose that it was just a matter of time before the IAAF would follow the USATF's affirmation of his record long jump. It hasn't happened. The paperwork was forwarded to the IAAF in Paris, and yet Shinnick was unable to get a hearing with the organization's president, Lamine Diack. The U.S. hasn't been popular with the IAAF for some years now because of a history of the late reporting or non-reporting of failed drug tests on the part of U.S. athletes, leading some to believe the IAAF isn't particularly interested in championing anything American. Convinced they weren't going to get a chance to speak with Diack without taking direct action, Shinnick and another ally, former world record holder and Olympic 400 meter champion Lee Evans, simply showed up at Diack's office in Budapest at 6 o'clock one morning. When Diack arrived at 6:30, he was none too pleased. "He was angry I was in the room," Shinnick says. "He didn't want us there. He said he would take it to the executive council, which he did. But he made what is called a summary judgment on the case, which is the equivalent of throwing it in the waste paper basket." The United States has been represented in the IAAF since 1999 by Bob Hersh, a New York lawyer and longtime stadium voice at track and field events around the world. Shinnick says he's been told that Hersh has obstructed his case within the IAAF. A call by FanHouse to Hersh to get his side of the story wasn't returned. In 1996, Hersh made his position clear in a quote given to The Seattle Times. "I still do not believe there is any basis for recognizing this record," Hersh told the Times, "because there was no wind gauge at the time. That was at the time, and still is, a requirement." That view, of course, is open to some interpretation. It was early in the track and field season, and facilities around the world were trying to adapt to change. As the 1963 rules were being phased in, the 1936 rules had a provision for recognizing a jump without a wind gauge. Six officials needed to certify that the jump was legal. 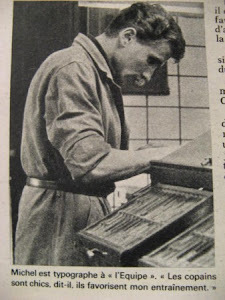 Birkinshaw had obtained the certification of six officials at the Modesto event. He and Shinnick had included the certifications among the papers they presented to the IAAF. 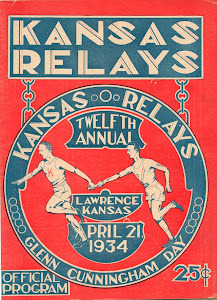 There have been other track and field marks that have qualified as records after the fact, although none that have taken as long as almost half a century. 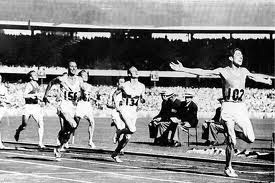 In 1950, the IAAF reinstated South African runner Daniel Joubert's 1931 world record-tying 100-yard dash. At the USATF level, the animosity between Shinnick and Hersh was enough that Hersh was recused from having anything to do with Shinnick's actions. Not so at the IAAF level, however. On the other hand, if Diack were on board, Hersh's position wouldn't be an issue. Shinnick has come to realize that he may be playing a waiting game until Diack, who is 76, steps down as the IAAF's top man. "I used to be really upset about it. But I'm not as upset as I used to be. The record will get approved eventually, if I outlive them. Why give up on the truth?" Is Shinnick's reaching out to the Chinese and the Soviets when it was still unpopular working against him now? It's difficult to say. "I used to be really upset about (the IAAF not recognizing his world record)," Shinnick says. "But I'm not as upset as I used to be. The record will get approved eventually, if I outlive them. Why give up on the truth?" It's a record that stands up well over time. A jump of 27-4 (8.33 meters) would have finished second in the 2008 Beijing Olympics. As Shinnick points out, since the advent of mandatory drug testing, long jumps in excess of his 27-4 are relatively difficult to come by. For Sternberg, there are no drugs that markedly improve his condition. There are only surgeries. 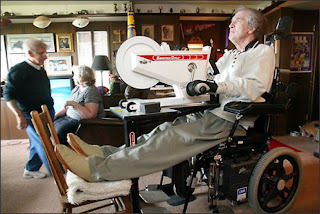 In 1996, a Nevada physician, Dr. Harry Goldsmith, removed scar tissue from Sternberg's damaged spinal cord and loosened his stomach lining and wrapped it around the spinal cord, in hope it would form a natural adhesive and stimulate his circulation. This enabled Sternberg to breathe more deeply and remain upright for longer periods of time. Five years ago another surgeon removed part of one of his ruptured spinal disks and replaced it with a piece of bone. "That's really helped my flexibility," says Sternberg, who has a workout program and still goes through physical therapy daily. "Things are getting better." Sternberg lives downstairs in the same building as his mother. He still requires full-time nursing care, which for the last 18 years, Catherine Murray-Palmer has provided. She was one year behind him at Shoreline High just north of Seattle, although the two didn't know each other at that time. They are planning to be married. "The surgeries are improving my quality of life," Sternberg said. "Before the (1996) surgery, you wouldn't have been able to hear me talk." Now, however, he can talk and scratch his nose. That's no world record, but it's progress, both incremental and important, for he remembers what it was like not being able to scratch. He couldn't do anything but wait for the itch to go away. Still, Sternberg always remembered how to scratch. It's one of those trivial memories that overlooks the significant. Like burgers and shakes on the road to Modesto with your teammate. "What I did back in 1963, what we both did, seems a lifetime ago," Sternberg says. "It was another life, another world." ROME (AP) — Pietro Mennea, an Olympic sprint champion from Italy who held the world record in the 200 meters for 17 years, died here on Thursday. He was 60. 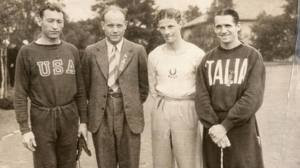 His death was announced by the Italian Olympic Committee, which did not provide a cause. 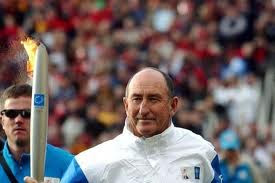 Mennea won a gold medal in the 200 and a bronze in the 4x400 relay at the 1980 Moscow Olympics and a bronze in the 200 at the 1972 Munich Games. 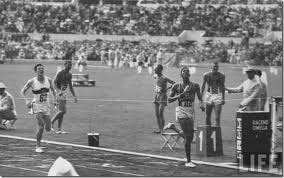 He set the 200-meter world record of 19.72 seconds on Sept. 12, 1979, at the World University Games in Mexico City, breaking Tommie Smith’s record of 19.83, set on the same track at the 1968 Olympics. Mennea’s record stood until Michael Johnson ran 19.66 on June 23, 1996, at the United States Olympic trials. Usain Bolt holds the current 200 record of 19.19, set at the 2009 world championships in Berlin. After his track career, Mennea worked as a lawyer and a sports agent, and he was a member of the European Parliament. Over the past ten years we have been witnessing one university after another, dropping men's track and field and cross country as well as other men's non-revenue sports supposedly to meet Title IX requirements, but probably moreso to match each other in the number of football coaches and coaches' salaries in quest of the almighty television dollar. In a groundbreaking decision that seems to demonstrate a desire to exist on a higher level of morality and justice, the University of Cincinnati, has announced that they will be reinstating scholarships for men's track and field in 2013-2014, as well as to several other 'Olympic' sports as they have chosen to describe them. Fortunately this does not include rhythmic gymnastics and air pistol teams. We applaud the Bearcats and strongly encourage other universities to start moving in the same direction. Unfortunately this decision came in the last of a 33 year term of service by Coach Bill Schnier who has had to see a very strong track and field program be hamstrung over the last 5 or 6 years. At least Bill will be able to retire at the end of this season , knowing that the program he has built over three decades will not fade into oblivion. Below is the press release that just came out from the university. CINCINNATI – The University of Cincinnati department of athletics will reinstate and increase funding to its Olympic sports scholarship programs, ensuring they are able to compete at the highest level nationally, director of athletics Whit Babcock announced Tuesday. Beginning in the fall of 2013-14, UC will implement an aggressive plan to ultimately offer the full NCAA complement of grant-in-aid scholarships to student-athletes in each of its 19 programs. Due to fiscal constraints in 2009, the department previously reduced scholarship funding for a number of sports and eliminated all scholarships for three sports which included men’s cross country, men’s track and field, and men’s swimming and diving. Today’s announcement reverses that decision and reinforces UC’s commitment to comprehensive excellence across the board. UC fields 10 women’s teams (basketball, cross country, golf, lacrosse, soccer, swimming and diving, tennis, indoor and outdoor track & field and volleyball) and nine men’s sports (baseball, basketball, cross country, football, golf, soccer, swimming and diving and indoor and outdoor track and field). To help fund this initiative, UC athletics is taking a multi-pronged approach, including undertaking an aggressive fundraising initiative called the “110% Campaign” which requests that existing UCATS (University of Cincinnati Athletics Team Support) donors give an additional 10 percent on top of their gift from last year and that new, first-time donors give at a minimum level of $110. Gifts from over 5,000 UCATS members directly impact the scholarship needs of each of the University’s 19 programs and serves as the primary financial support for all athletics scholarships on an annual basis. Football head coach Tommy Tuberville is supporting the cause and will donate $300,000 over the next five years to benefit UC’s Olympic sports programs, as announced during his introductory press conference in December. UC swimming had a team GPA of 3.2 for the women’s team and 3.1 for the men last semester. Incoming men’s track and field head coach Kris Mack echoed Hopkins’ statement. Men’s track and field had a team GPA of 2.8 last semester, and cross country a 3.1. Women’s lacrosse had a team GPA of 3.4 last semester. Consistent with the University mission, one central tenet of Babcock’s program is a commitment to comprehensive excellence on the field, in the classroom and in the community. For more information on joining UCATS, please call 877-55-UCATS or visit GoBEARCATS.com. Great news about the University of Cincinnati! The Bearcats are certainly bucking the trend. In Baltimore last week, Towson University -- which a decade ago dropped men's track and cross country -- announced that it would terminate its varsity baseball and men's soccer programs. The reason: the new athletic director says the school can no longer afford these two successful programs now that it is elevating his football program to a higher level. The AD claimed it was the only way to meet Title IX requirements, but many see that as a smoke screen. Rather than support the minor sports as it has long done -- and still does at many major colleges -- football is now killing them, investing the surpluses it generates to produce bigger and stronger football programs. That investment includes paying obscenely high salaries to football coaches. Here is the link to the full story from the New York Times on the Tim Danielson murder case and trial which has yet to take place. The writer Jere Longman sent the link to one of our readers, Mike Solomon. In the article there's a link to a youtube of Danielson winning the California State meet for the second time. Mike Solomon is also seen in that race. Danielson in 1966 AAU championships second lane trailing Ryun and Burleson. Richard Romo leading followed by Jim Grelle. Who is runner outside Ryun? A gentleman from Denmark, Mr. Leif Bugge has been corresponding with me for over a year. 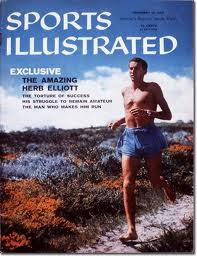 Leif is an incredible fan of the sport and has put some of his collection of Track and Field film onto a youtube site. 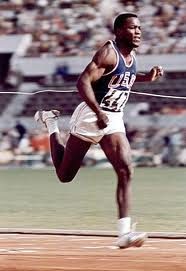 you will be taken to a large number of film clips of track and field. Click on the first one that is at the top of the list. This will open you to a world of over 100 videos that he has uploaded onto Youtube. Many thanks to you, Leif for bringing this to our attention and for your efforts to preserve the sport. 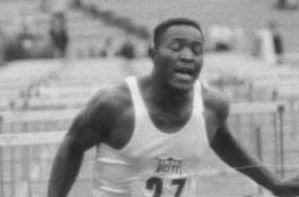 We've been in touch lately with Darryl Taylor, former Long Beach State College running great. Darryl has sent us a personal (isn't that the best?) 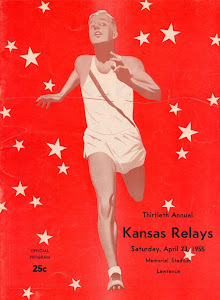 account of the 1963 Colesium Relays 2 mile relay in which he turned in the fastest individual split as reported in our last post. We solicited this from him. He's much too modest to have sent this to us without a bit of coaxing. We are also putting some pictures of Darryl from those days and a current photo, again on our insistence. 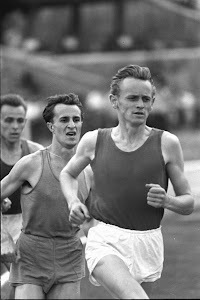 I'm sure you will recognize some of the outstanding runners of that era in these photos. Hey George and Roy-What a delight to read your May 1963 Post. To find my name mentioned among my heroes of the 1960's is truly an honor. 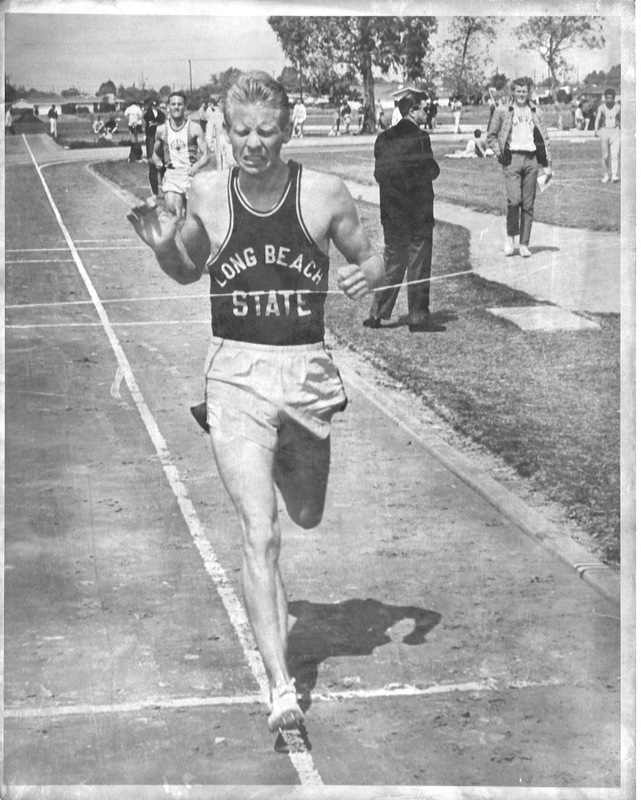 My best 880 prior to the 1963 Coliseum Relays was the Long Beach State College record of 1:51.4 that I clocked in the 1962 Mt. SAC Relays while placing 5th. In the Coliseum 2MR Long Beach State was a long shot to do anything special as our previous best 2MR was a 7:41 we had recorded at the Long Beach Relays in March.. Ralph Lee had just arrived on campus from a northern California JC and joined us with some very impressive credentials, having run 1:52.1 in the California HS State Meet as a senior and lowering that to 1:51.6 at San Mateo JC . Ralph did a great job of leading off with a 1:51.7 and got the baton to me in 5th place, trailing Oxy, San Jose State, Stanford and Fordam, if memory serves. 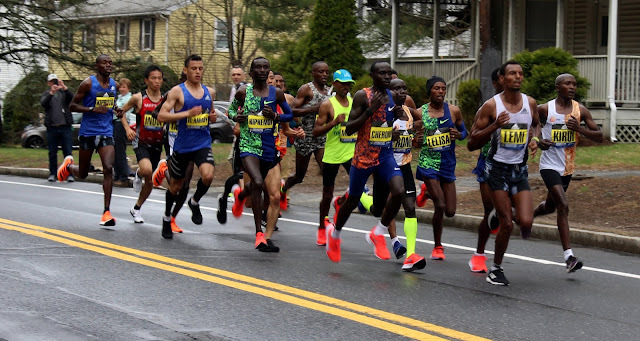 During the 2nd leg I worked my way past a couple of the leading teams and came within a stride of catching Dave Moon from Occidental before passing off to Tom Jennings on the 3rd leg. 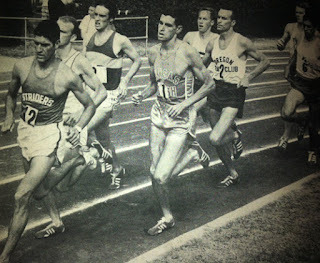 As you probably know, Tom established the 49er Track Club which morphed into the Pacific Coast Club while he and his son perfected the Finish Lynx computerized timing system used at many of today's major indoor and outdoor meets. 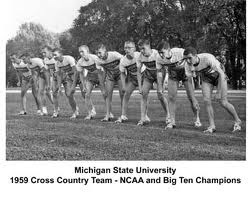 While Tom was running a strong 1:53 third leg, I was wondering what my split would be and as I as putting my sweats on, I overheard Coach Jim Bush from OXY tell his Dave Moon that he had broken 1:50. Knowing that I had gained some yards on him I was overwhelmed with the idea that I could have gone under 1:50 also. Occidental and San Jose were in a near dead heat at 7:21 while Stanford and Fordam worked their way past our team to finish at 7:25 and 7:27. Just wish Coach Jack Rose could have been there to witness our coming of age against what we called the "Big Boys". Finishing behind us were USC and New Mexico. My coach, Jack Rose, was not in attendance as he had traveled to Fresno for the NCAA Regional Championships where team mate Bill Crowley, former CIF Champion for Compton HS, lowered the LBSC mile record to 4:07 while winning that event. 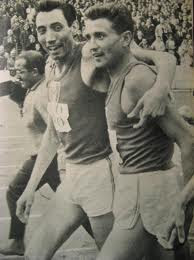 Through Tom Jennings, a T&F News correspondent, I had met both Corder and Bert Nelson and I knew where they were seated in the Coliseum, taking notes and taking splits throughout the competition. I nervously made my way up to their perch and asked if they had taken splits in the 2MR for the 5th place team. Both seemed genuinely pleased to read off their official splits for LBSC, including my 2nd leg of 1:48.6. I didn't sleep that night as I could not comprehend what had just happened. For one night, for one competition, I was able to match strides with the guys that I had looked up to for so many years. It was what I consider my finest race ever on an outdoor track. 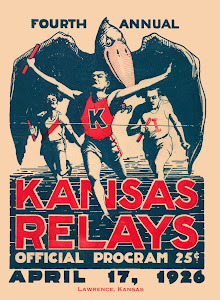 The 7:29.8 5th place in that race in 1963 remains the fastest ever run by a LBSC team. I returned in 1964 and ran in the open 880 where I recorded my only other sub 1:50 clocking at 1:49.6. What I never knew until reading your blog was that I ran the fastest split of all the competitors that night. I talked to Coach Andy Scythe at LBSC this past December during an All-Comers meet there while taking my grandson Ryan to compete in the mile. My 1:49.6 remains the # 7 fastest in school history after these past 49 years. I asked him if it might survive this next season among the top ten and he said that a pair of sub 1:50 transfers might have a say in that. 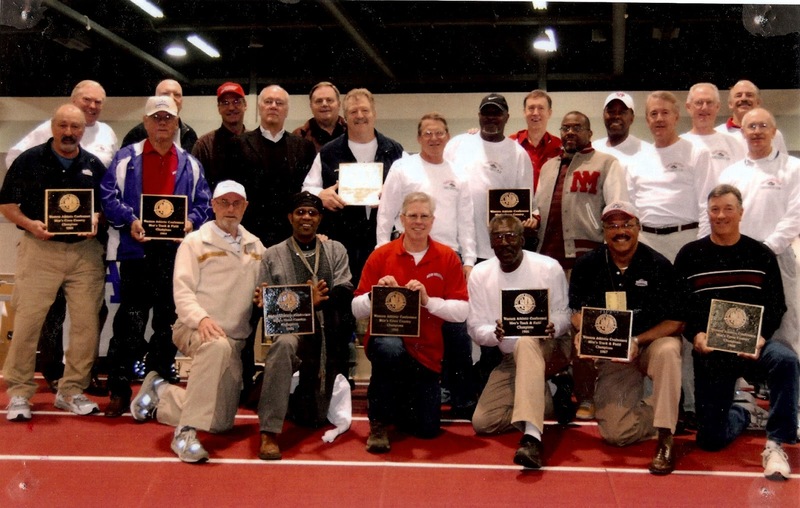 The Coliseum Relays was one of the great, great west coast meets ever and its demise has hurt the sport in this area. I'm often asked what happened to the great indoor meets and great outdoor meets that fueled my imagination (Compton, Coliseum, Modesto, Fresno Relays, LA Times, LA Invitational, San Diego Indoor) and I've never been able to come up with a satisfactory answer. Let me thank you for allowing me to remember the singular highlight of my outdoor running career on your wonderful blog. The names the places the times of that era will always remain at the top of my list of running and racing memories. SPAAU Championships held at Occidental. Steve Hass-Greg Pelster-Harris Williams-Ted Nelson and I all finished between 1:51.2 and 1:51.9 (my 5th place time). The Long Beach Indoor Games of 1964. I placed 3rd behind John Bork and Greg Pelster at 2:10.9. 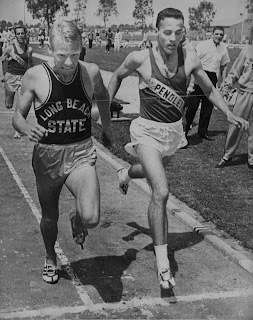 Smiling for the camera was not high on my list, this being the finish of a school record 4:16.7 mile against the Camp Pendleton Marines in 1962. Dave Kemp and I had the same time but I edged him out at the tape. Dave Mellady trails in 3rd. 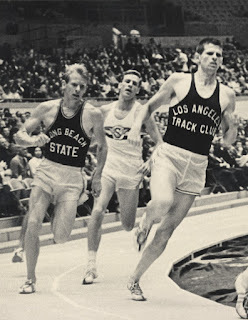 As fate would have it, both Kemp and Mellady would join me later as members of the 49er Track Club that won the National AAU Indoor Championships 2MR in 1966 with yet another Dave (Perry) anchoring in Albuquerque. 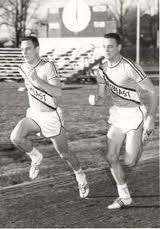 Dual meet in '63 with Dave Kemp now at LA State. Yes, I caught him again here with a 4:15.0 but he returned the favor at Conference Championships by winning the 880 at LBSC. A recent (2012) photo of my wife and I on vacation in Bryce Canyon N.P. in Utah. 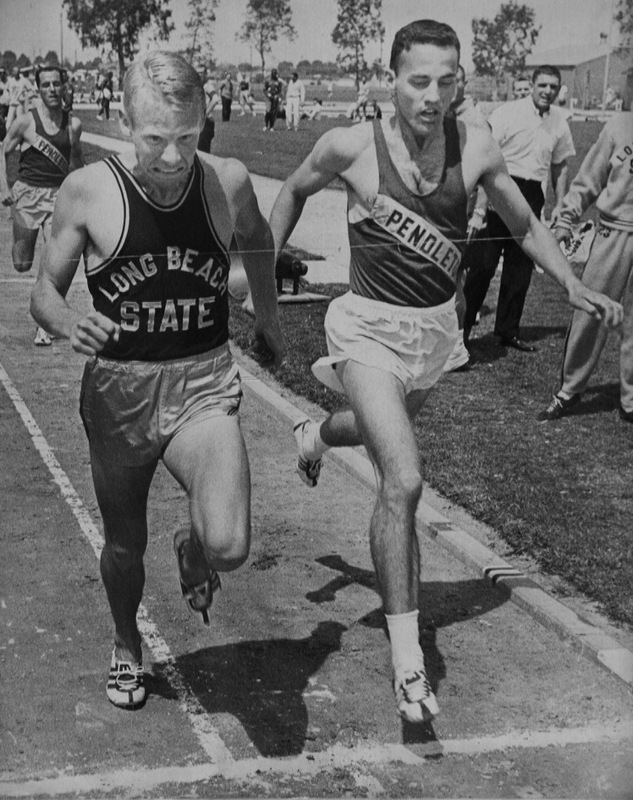 Dr. Jack Rose at long beach st. was a truly great coach and ambassador for the sport. 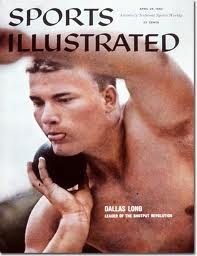 He started the track and field hall of fame in of all places....West by god Virginia? Don't know if it still is open or not? Wish more coaches were like Jack Rose. Just confirmed it's located at The Armory in NYC.